The wildlife trafficking industry is at its zenith right now, according to a new report on rhino horn and elephant ivory statistics. While the rhino horn trade has reached its highest levels since the 1990s, the ivory trade skyrocketed by 300 percent from 1998 to 2011. The harrowing numbers were published by the conservation group TRAFFIC (a project of the World Wildlife Fund and IUCN) along with the United States Agency for International Development (USAID) in a new report titled "Illegal Trade in Ivory and Rhino Horn: An Assessment to Improve Law Enforcement." The dismal numbers don't stop there. According to the report, central Africa's forest elephants (a separate group than savanna elephants) have been reduced by an estimated 76% over the past 12 years, while 1,004 rhinos were poached in 2013 in South Africa. The report also explored how rhino horn is usually smuggled by passengers moving through international airport hubs, while most ivory shipments are brought through seaports. "We're in the midst of a crisis," Rachel Kramer, a program officer with TRAFFIC, told The Dodo. "Ivory trafficking is at its highest level in history, with rhino poaching reaching unprecedented levels last year with over 1,000 rhinos killed for their horns in South Africa alone. 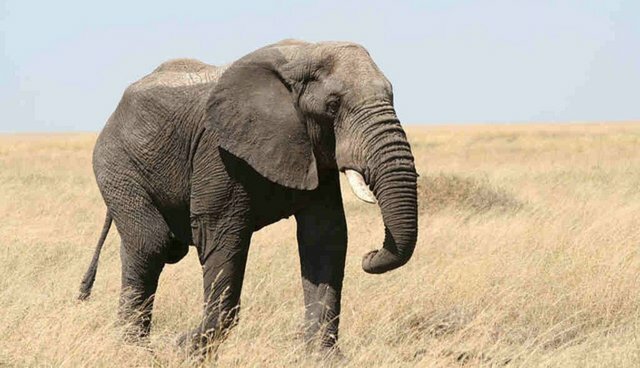 In addition to presenting vital current information on illegal trade trends in elephant ivory and rhino horn, this report provides targeted recommendations for improving co­ordinated law enforcement responses across Africa and Asia."